There are all kinds of alterations that can be made to an existing kitchen to make it more accessible - but designing with special needs in mind from the outset will give the best result. According to the Australian Bureau of Statistics, 17.1% of all Australians have a disability which in some way limits or restricts them - and with a rapidly ageing population, this figure is only set to rise in future. Disability, frailty or age doesn't have to be a serious impediment to kitchen use though; in fact many designers now build kitchens specifically to suit a range of different special needs, based on the assumption that impaired mobility should not limit a person’s life. Many manufacturers nowadays produce a range of height or reach adjustable facilities for kitchens, including benchtops, cupboards and sinks. Mechanically driven lifts for kitchen worktops and wall cupboards have also been introduced, allowing for convenience and flexibility. The single most important feature in the kitchen for most people with a physical disability is an unbroken surface between food storage, food preparation and cooking appliances. Whether the person using the kitchen is in a wheelchair, using a walking aid, has arthritis, poor vision or is generally frail, they will find it far more convenient to be able to slide goods and utensils along counters, and for everything to be at a uniform height. There is also a range of components such as tapware, light switches and drawer and cupboard inserts that may be useful. Those who are wheelchair bound find it difficult to see inside standard height sinks, get close to units and cupboards, or even cook. Standard height benches and deep work surfaces need to be avoided, as the use of appliances can become dangerous. For those with wheelchairs, benches with voids underneath to allow full access are a huge advantage. It's also worth looking into height adjustable worktops, sinks and hobs. Adjustable products include everything from electrically controlled height adjustable mechanisms with memory control, to basic crank handle options. Appliances such as ovens should be installed at a more workable height for people with wheelchairs. High set ovens are not practical, and can be a danger. Wall units can also be installed manually for height considerations. Different disabilities require their own unique solutions, so there may not be a one-size-fits all solution for each kitchen. Even small customizations can go a long way towards making a kitchen safer and more useful though. When you’re laying the kitchen out, consider carefully how the specifics of the disability will affect a person’s ability to use things. Why install an appliance in a right hand corner if someone can’t use their right side? Get pull out accessories that come to you, rather than you having to go to the accessory - especially if you have trouble leaning or bending. Consider installing mobile units that move from one side of the room to the other. Lower the contents of wall units and install cutting boards, slide-out shelves, baskets, tables and worktops at the relevant height. Full extension drawers will give 100% accessibility. 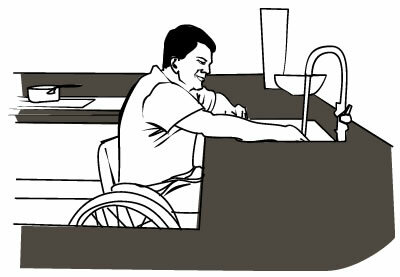 Insert knee space into the sink and hob for wheelchairs, and for people to sit while they work. Rise and fall sinks are available, but underneath space will give access to full view of the sink. Install cabinets so that the hinge hangs out of the way of wheelchairs when they’re open. Foot-rest space should also be added. Sections of the kitchen can be colour coded to enable those with visual impairments to easily identify those sections. Install automatic sensors to control appliances where required, and place electricity sockets in the one area. Drop-down sliding doors for ovens, induction hobs with touch front controls, special drawer runners for safe pull out and thermostatic taps should all be considered as part of the kitchen for the disabled. Single lever mixer taps will help those with arthritis or other joint problems, as they can be controlled with the wrist or other parts of the body. Install grab bars where necessary to allow for added safety and comfort. 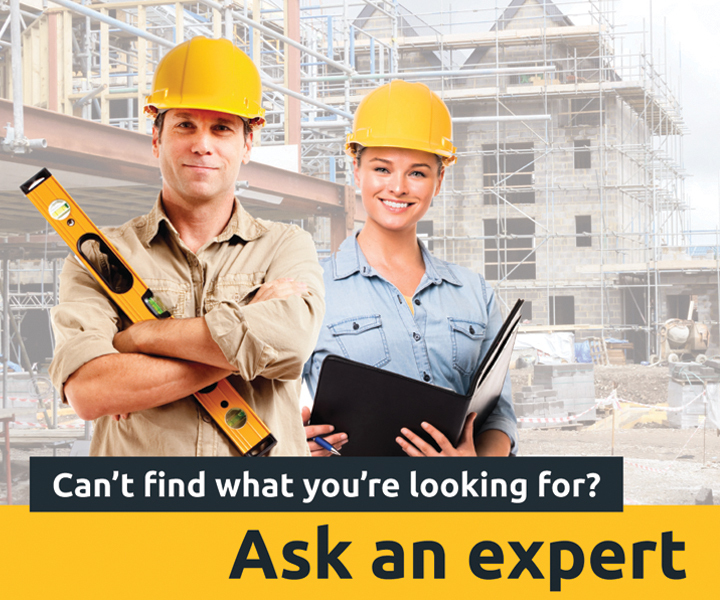 Grab bars and other enhancements should all be installed and tested to ensure that they comply with the Australian Standard AS1428 – Design for Access and Mobility, and the people installing any enhancements should be an experienced, qualified professional installer. For further information on the kinds of disability enhancements that can be made to kitchens, talk to a specialist kitchen designer.